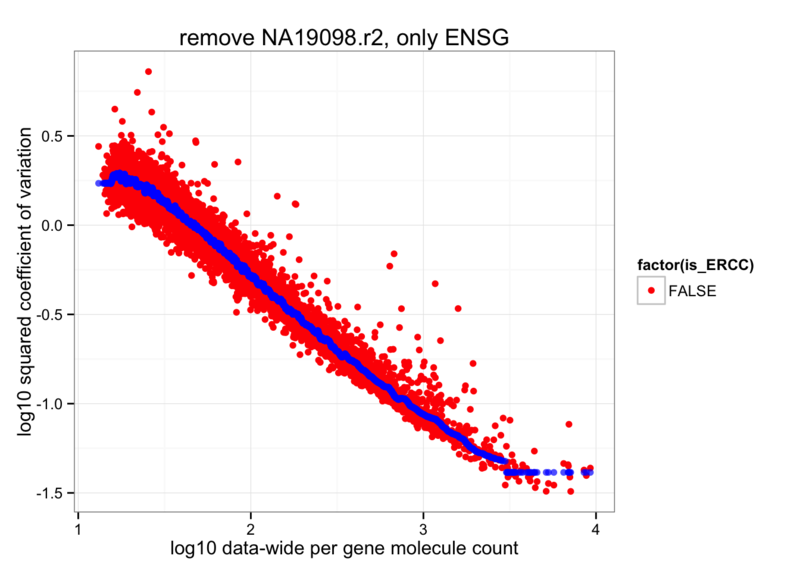 Previously, we normalized coefficients of variations in the data of all samples and all genes (both ENSG and ERCC). 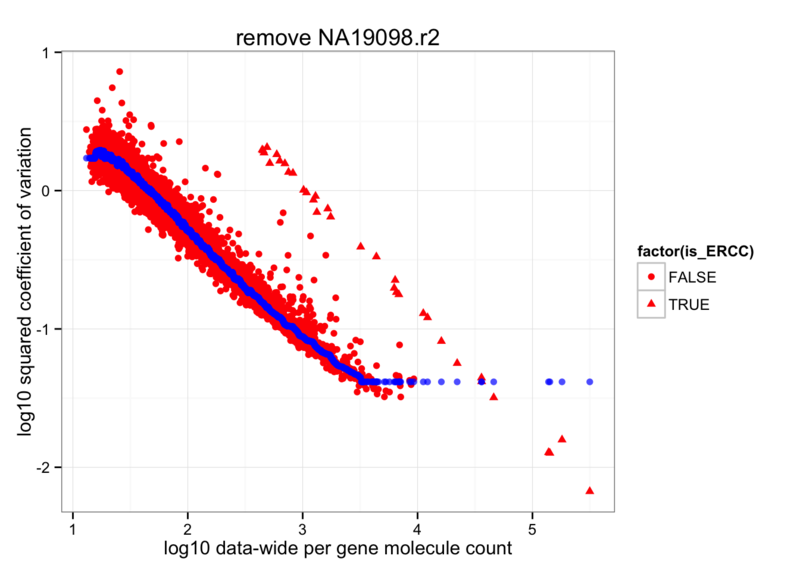 Because one of the samples NA19098.r2 is an outlier batch, we suspected that the rolling medians of data-wide coefficient of variation, which is used to normalize sample-specific coefficients of variation may change if the sample NA19098.r2 were removed. 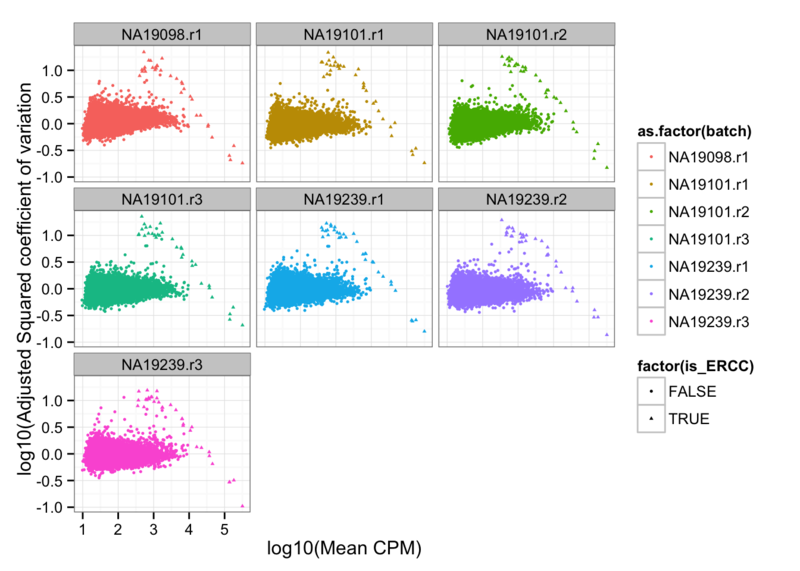 ERCC genes are the outliers in their data-wide average of coefficients of variations. 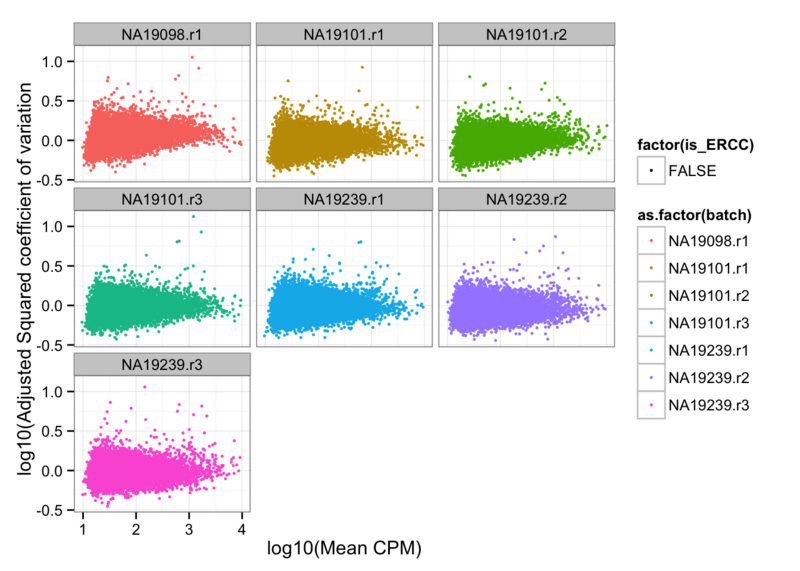 After removing these, the data-wide coefficients of variation look more resonable distributed.